Got some questions about flooring. Here is a list of frequently asked questions. 1Is it possible to install solid wood floors on concrete slabs? No, it is not recommended to install wood floors on any concrete slabs. It is possible to get the job done if the concrete slab is dry, but this is not something we can recommend. There are a number of additional steps that can help ensure that the wood does not get damaged over time. For example, setting plastic barriers over the slabs and taping the seams. Talk with us about the different types of wood that may work over a concrete slab. We can offer you advice based on what manufacturers recommend. 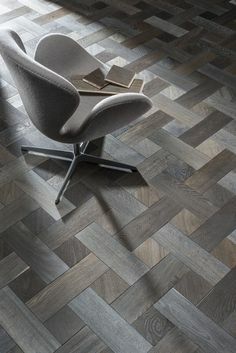 2What wood floor is install-able over concrete slabs? If you are really set on installing a hardwood floor over a concrete slab, your best bet is probably long strip engineered plank floors. However, manufacturers are often recommending that you not do these installations at all, because the wood gets damaged over time. When using other types of wood, such as engineered planks or strip wood floors, it is possible to glue them directly onto a clean and dry concrete slab. If you are using long strip engineered planks for this project, it is possible to lay them over the slab and place some padding underneath for extra protection. There are even types of hybrid floors that can work on top of concrete slabs. These typically come with a click, tongue and the groove locking system. Remember: If the concrete slab was just laid out, it must cure for at least 60 days. If you want to install wood planks on top of it, make sure they are acclimated for at least 48 hours before installing. The manufacturer often has specific recommendations for these procedures. 3Is it possible to install hardwood floors on top of existing vinyl floors? This is an unusual request and it depends on the conditions. If the vinyl flooring is tightly attached to the subfloor and has the appropriate cushioning, it is possible to add a wooden floor on top in a floating mechanism. It is also possible to nail down or staple the wooden floor on top of the vinyl. However, talk to our experts about this situation and make sure you know what the manufacturer recommends for certain types of wood and vinyl flooring products. 4How do I remove scratches that got on my wooden floor? If you have scratches on your wooden floor, the removal method is largely dependent on the type of wood and its finish, along with the depth of the scratch. For example, minor scratches on wood that has a urethane finish are not a problem. They are removed through touch-up kits you can get at any hardware store. Most manufacturers have recommended products that can deal with certain types of scratches. Use those first before you try any other method. If the scratch is deeper, it is best to talk with a professional. They can assess the area and perform some type of screen and recoat procedure. By using sanding screens, they abrade the floor’s finish and remove the scratch. Then they add a new finish to that area to ensure it matches with the rest of your wooden floor. In some cases, it may make more sense to replace that particular slab if it gets scratched sufficiently. 5If I have pets, does this impact my hardwood floor installation? Hardwood flooring is not designed to withstand the abuse it often gets from animals, such as domestic cats and dogs. For example, many types of wood are permanently discolored if they get a lot of urine on them. In addition, claws from the cats and dogs will also leave potentially permanent marks on your floor. It is very important to talk with us about the type of wood and finishes you will require if you have pets that spend time in those rooms. 6Is it possible to refinish engineered wooden floors? Yes, if the engineered wooden floors are high quality and have at least a 1/8’’ layer of finish, it is possible to sand them and refinish them an additional two times. 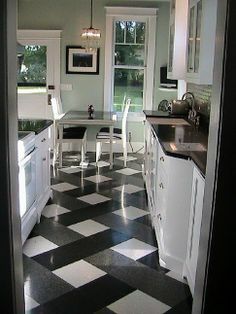 However, it is very important to get someone who has experience with these types of floors. Sanding them incorrectly could not only ruin your new finish, but render the entire floor spoiled. If you want to know whether your wood’s finish is thick enough to meet this condition, open up the covers for your heat vents and take get a side-view look at your floor. In addition, talk with the manufacturer of the wood that you have, because they will know how often refinishing is possible. 7Are throw rugs compatible with hardwood floors? Yes, there are generally no problems with throw rugs or other types of rugs on your wooden floor. However, keep in mind that you do not want any rugs that stain or have bleeding colors. Make sure you speak with the place where you bought the rugs in order to get assurances that they will not bleed color. If you have floor rugs permanently on certain areas of the wooden floor, make sure you remove them from time-to-time and clean the bottom area. Switch up the rug’s position too, because this prevents one patch of your wood from having a different color or shade to the rest. 8I am really concerned about gapping in my wooden floor. How can I resolve this? It is almost impossible to totally stop gapping in your wooden floor. This is a natural part of wood that we cannot change. It expands in certain conditions and contracts in others. You will find wide spaces in the winter, while these spaces close up in the summer months. There are certain types of wood, such as engineered wood, that avoid these issues. If you really want to get rid of this gapping, you might want to get an entirely new type of wooden floor. 9Are furniture legs a potential problem for my wooden floor? Wherever you get your wooden floors done, they will have felt pads that you can put under the furniture legs to make sure your wooden floor is protected. This is good for sofas, chairs, tables and any other furniture that has legs. You do not want legs to touch your wooden floor completely bare, because this can cause a lot of unnecessary scratching. Sometimes the pads require nailing down, while others just stick to the legs and remain in place for a long time. Be careful when nailing them down, because you do not want to damage your furniture or that part of your floor. Try to clean the pads often because you do not want dirt or debris damaging your floor. 10Can you please explain the difference between engineered wood and solid wood floors? Yes. Engineered wood floors are created by combining different plies of wood in a cross-stack manner to ensure that the planks do not expand and contract when the moisture levels change. This is great for areas where regular solid wood floors are not a viable option, such as excessively humid areas or in basements. In addition, engineered wood allows you to change the material at the very top, meaning you can get a high quality wood for the surface without spending excessive amounts of money. Solid wood is better in areas where you can control the moisture. 11Is it possible to glue down the solid wood floors? Yes, it is possible to use narrower solid wood boards and glue them down, but the expanding and contracting is still a slight issue. 12Can I install the hardwood floors myself? Yes, it is possible. However, it is not recommended unless you have a lot of experience with this type of job. It is important to do it correctly and securely. The last thing you want is a floor that damages quickly or injures someone who is walking on it. 13Does the floor’s color change over time? Yes, it is likely that your floor’s color will change after a few years, especially if it used heavily or not cleaned regularly. A lot of factors determine how much the color changes, such as the wood material, where you live and how often it is exposed to sunlight. Wood floors in rooms that do not get a lot of sun do not go through many noticeable color changes. 14If I suffer from asthma, does a wooden floor make sense for me? Yes. It is certainly good to have a bare wooden floor if you have a lot of allergies. 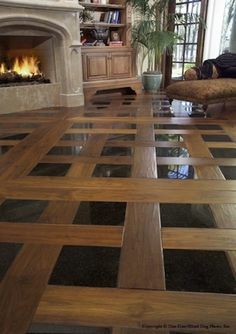 These floors are very easy to clean, especially when compared to carpets. You will get far less dust, animal hair, pollen or mold in these floors. In addition, you can quickly spot and clean any dirty spots if you are particularly sensitive to dust or other debris. Sometimes dust mites are not successfully taken up with vacuums, which is why a lot of experts recommend hardwood floors for asthma sufferers. 15Is it normal for my floor to have one or two cracks in it? Yes, wood is often going to change because of the environment. There are a number of natural situations that can cause cracks in your wooden floor. For example, a loss of moisture causes a lot of shrinkage, which can result in a crack. It is nothing that you should be alarmed about. However, cracks that are unsightly might require you to replace certain slabs within your floor. 16Is it okay to use wood in kitchens and bathrooms? No, it is not recommended to use wood in these rooms. For one, there is too much moisture in these rooms. For example, your bathroom can easily get a lot of water on the floor when you emerge from the shower, accidentally spill some water from the sink, or happen to have a pipe that leaks. The kitchen is a similar story. You are cooking in this area, with water used often to clean dishes or to cook. This excessive moisture can damage your planks fairly quickly. However, the right kind of wood with certain finishes can work in these rooms. But even then, you must be very careful about water and general moisture.